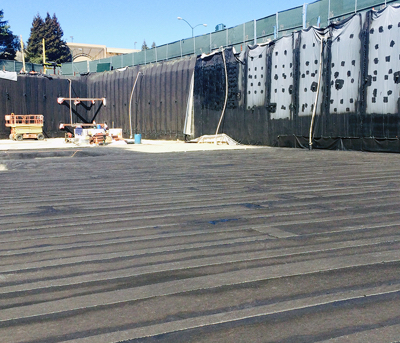 HotDeck features a 215 mil reinforced layer of HD.membrane that cures to form a seamless, fully-bonded, thick, resilient, and highly-flexible waterproofing membrane. 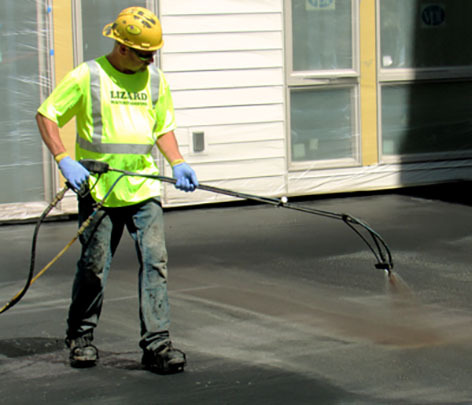 EPRO e.drain 6000 — a lightweight three-dimensional, high-compressive strength polypropylene core and bonded non-woven geotextile fabric. 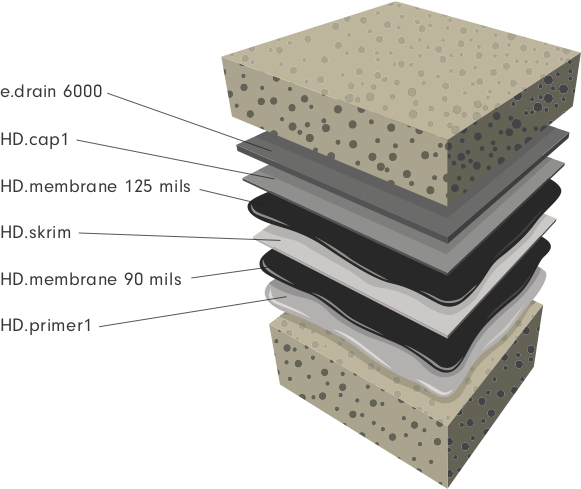 Together, the components of the HotDeck system provide redundant layers of long-term waterproofing protection. 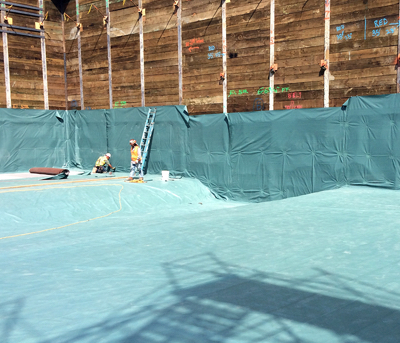 They also protect the rubberized HD.membrane from physical damage through the construction process and UV exposure. EPRO provides a wide range of warranty options for HotDeck systems, including a material warranty, labor and material warranty, and the E.Assurance No-Dollar-Limit warranty. For more information about E.Assurance, visit: http://eproinc.com/e-assurance.